The Office 365 UK User Group (O365.co.uk) is a great environment to share information about real world experience of Office 365 with a group of like minded people. Please click here to download a copy of the slides that supported our contribution to events at the evening session on 17th June 2013. 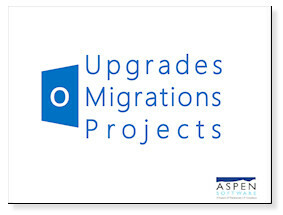 A big thank you goes to the Office 365 UK User Group team for organising a really useful event. 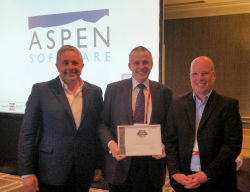 Update 5th July 2013 – Thanks to everyone for the feedback from the User Group meeting and from the Thames Valley SBSC where we re-ran this on 4 July. Thank you also to SBSCer John Murdoch for the additional link on Autodiscover and Active Directory, the slides have now been updated to include this information. Do you know whether your website is up and running now? Or does the front door to your business look like this at the moment? You've made a significant investment in your web presence, but how do you know that it's always available to the outside world? Unsurprisingly there is a whole industry that is willing to help. Simply Google or Bing "Website monitoring" and you will see a wide range of options available. But which should you choose? The key things to look for are the reliability of the monitoring service and the location of the monitoring points. Clearly the monitoring service always needs to be checking the availability of your site and ideally it should to be carrying out the checks from the same geographic locations as your intended audience. That way it will be checking the connectivity to your web site and not just whether the web server is working. In use, most services simply ask you for the web address of your site or application, the frequency of checking (typically from one minute upwards) and how you should be notified if your site is down. Notification is usually through email or SMS although some providers also provide smartphone apps. If the primary audience for your website or application is in the UK, mainland Europe or North America then, based on several years of real life use, Pingdom (www.pingdom.com) is our first choice. If you have just one website to monitor they have a great free service. For multiple sites their pricing is very competitive - at the time of writing you can start with the five site "basic package" for US $9.95 per month and then add checks for extra sites at the equivalent of US $0.50 per check per month. You can see how the monitoring process works in more detail on the Pingdom website. Remember too that the service can be used to monitor more than web site availability. As an example, for our clients, who use the remote web access facility provided by Microsoft Small Business Server or Server 2012 Essentials, a Pingdom check provides the ideal verification that their staff can access their office based applications and data when working away from base. Checks also show the response times for your site or application and can be configured to monitor other key services such as email. To round it off, Pingdom also have some useful free tools, including a full web page speed test, located at http://tools.pingdom.com. So, don’t wait for your customers to tell you that your website or web application is down, use the tools available to keep an eye on things – it’s easy and inexpensive. "I'm running the installer from your latest update and my anti virus software is telling me that it is infected with a virus!" 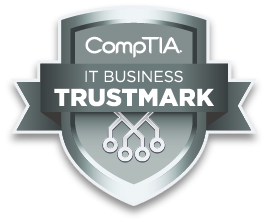 As a company developing custom business software, we are in a position of great trust when we produce software to install on our clients' PCs and servers. In fact, we use anti-virus and anti-malware products from four different vendors to maximise protection throughout our company network, so I was confident that we had not shipped infected software. Whilst we could have suggested temporarily disabling the anti-virus software or setting up an exception so that it would ignore our software and its installer, that really wasn't a viable option or something I would want to do. So we agreed a plan of action with our client. A quick return to our testing lab enabled us to fire up a new test PC image, install a copy of the anti-virus reporting the problem (in this case AVG) and reproduce the reported problem. Needless to say, all of our other anti-virus products were quite happy with our software. What to do with our false positive? Theoretically we could contact the anti-virus vendor, supply a copy of our files and ask them to change their scan signatures to fix the false positive but, in reality, this wasn't a practical option. A quick trawl of the internet revealed that false positives are a common problem and major anti-virus vendors are not keen to accommodate a piece of custom software that may only be installed on a few PCs. So what were our options? As, in our case, compiling without optimisation caused no adverse affects in the finished program, we were able to ship the update which our client then installed without any problems. Lesson learnt - when trying to resolve an anti-virus false positive, don't forget to experiment with the compiler options. 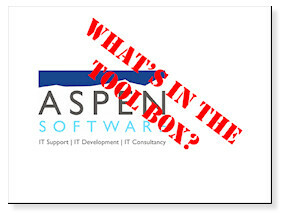 Thames Valley SBSC - What's in the Tool Box? Thursday 5th July 2012 – my turn to do some sharing at the Thames Valley Small Business Specialist User Group (an excellent peer networking group for IT pros serving small businesses). Please click here to download a copy of the slides – I hope you find them useful. Thanks go to those who have recommended some of these tools to me in the past. Back in February, we mentioned how useful Google alerts are for easily keeping up to date with what people are saying online about you, your competitors and your customers. If you've been using them, you'll know how well they work delivering useful information directly to your inbox. If you're also using Twitter and want to be alerted when something you're interested in is contained in a tweet, then Google alerts can help you with that too. Simply set up a Google Alert in the usual way and change the "Type:" to "Realtime" to monitor a range of social media sources including Twitter. If you need to act on a tweet, then changing the setting "How often:" to "As-it-happens" can also be useful to minimise delay. You can find out more about Google's realtime search facility at http://www.google.com/landing/realtime/ where the video will give you a good introduction to its capabilities. How often do you see a nicely sign-written van or lorry featuring a company's website address? If you're like me and spend a fair amount of time in traffic jams, I'm guessing quite a lot. It's a good way of promoting your business and encouraging people to visit your website. However, I often notice that some organisations who have invested in a professionally produced website, featured it in their advertising and on their vehicles then give a "free" email address as a way of contacting them. For example you might see something that urges you to find out more at www.acmewashers.co.uk but then the email address they use is acmewashers@gmail.com. Compare this to the ad featuring www.whizzowashers.co.uk with an email address of info@whizzowashers.co.uk. I don't know about you, but Whizzo Washers is already looking like a more professional organisation to me. When you register a domain name, "mailboxes" that will let you send and receive email aren't normally included in the price. You typically need to either buy them as "add-ons" or buy a more comprehensive hosting package. In this situation, I can see why the free email option seems attractive. I've got nothing against free email addresses, they can be really useful, but if you have gone to the expense of registering a domain name then why not use it with your email address too? If you use a facility known as email forwarding, there won't be any additional cost. Nowadays, any domain hosting package worth its salt should include free email forwarding. This will allow email sent to "your domain" to be forwarded to another email, address – even a free one. This is exactly what the folks at Whizzo Washers did, they invested significantly less than £10 per year to register their whizzowashers.co.uk domain and then used the inclusive email forwarding capability to forward all email sent to whizzowashers.co.uk to their Gmail address. Just remember, whatever options you choose for your website. It's your domain and don't forget to use it wherever you can. How do you know what people are saying about you online? What are they saying about your customers and competitors? Use a search engine I hear you say, but do you really want spend your time doing all sorts of search queries just to keep tabs on this, even though it’s important? If your budgets stretch that far, you could of course hire a research team to do this for you. Another approach, which is free, is to use “Google Alerts” to do the bulk of the work for you. This is an easy to use service from Google that can automatically email you the results of a search query, as new results are found. You simply set up an alert with your search query (eg “Acme Washers”) and whenever Google finds results that match, it will send you an email with the relevant links. You can also have your results grouped into daily and weekly emails to avoid overload. To set up your alerts, all you need is a Google account and an email address, then visit www.google.com/alerts. To use Google Alerts you will need a Google account (this can also give you a Gmail email address if you want one). If you haven’t got a Google account then you can sign up at www.google.com/accounts/NewAccount. It’s all pretty self-explanatory and you can opt to just use your own email address as the username for your account. If you opt for a Gmail address (they can be quite handy as a backup), it can be a good idea to set up forwarding so that email sent to your Gmail address also ends up in your usual email account. You can set up forwarding using the “Settings” link when you are logged into Gmail. When the settings page is displayed, just click the “Forwarding and POP/IMAP” link and choose the forwarding options you need. There are a host of other useful (free) things you can do with a standard Gmail account, but perhaps that’s for another post. Once you’ve signed in to www.google.com/alerts you set up your alert by entering your search term eg “Acme Washers” and choosing where you want your results delivered. You also have the option of specifying which elements of Google to search along with the frequency and volume of the results. From here you can also manage any of the alerts you have already set up and the “Google Alerts Help” links gives clear and useful advice on using the service. To illustrate how useful this can be: one of our customers recently found out via a Google Alert, that they had been very well reviewed in an independent newspaper and online article. They were delighted to then be able to capitalise on the review in their own marketing activities. We’re often asked whether there is such a thing as Bing alerts, an equivalent service to Google alerts but driven by Microsoft’s Bing search engine. The nearest equivalent I can find is Bing News Alerts (which limits searches to the “News” section of Bing). I’ve even heard rumours that the good folks at Microsoft use Google Alerts to keep tabs on things! Perhaps someone can let me know if this really is true. It's well known that most IT support consists of switching it off and back on again and, if that still doesn't sort things out, Googling (or Binging) the error message. As someone who delivers professional IT support for living, I would suggest that the real expertise is in knowing whether to switch it off in the first place and which of the 2,740,000 results that the search engine delivered can really help you solve the problem. In a way, it is like the old tale of an engineer called in by a factory boss to fix a piece of machinery. It had broken down, brought the entire factory to a halt and, in spite of days of effort, no one in the organisation could get it started again. After examining the machine and much thoughtful consideration, the engineer hit it with a hammer and it sprang back to life. When asked what the charge for his services would be, he replied £1000. The factory boss exclaimed in no uncertain terms that he thought £1000 was excessive for just hitting something with a hammer. To which the engineer explained that the charge for hitting the machine with the hammer was only £10, providing the expertise to know where to hit it was £990. If you are involved in supporting the IT which helps run your business, we'd like to share some of our expertise with you and help you choose which of those 2,740,000 Google results can actually solve your problem and provide real value IT support. There are some incredibly useful tools and techniques available to help support IT in your business and many of them are free or very reasonably priced. So look out for "Value IT Support" in our future posts – you'll find they include some real IT support expertise that you won't be charged for!